There are many ways to raise extra cash once you downsize your life without having to find another job. By selling items in your home that are no longer needed you can utilise the cash for more important purchases. Before loading up your car and setting off to a car boot sale it would be advisable to check out the best events in your area. Speak to friends and family who frequent car boot sales to find out the largest and busiest. The more buyers attending the event will mean that you have lots of people looking at items that have for sale and will have a better chance of selling all your stock. Go through your attic, cellar and spare bedrooms searching for items that you no longer need. You can also sell clothing at car boot sales and it is a good way to clear out a bulging wardrobe. 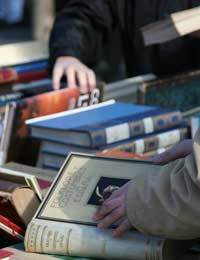 Any items that you think are too good to take to a car boot sale keep aside to sell at auction or perhaps an antique collector. Decide how much you want for each item and label it, a sticky or tie on label will be best as it cannot be removed easily. Be prepared to barter on the day as many people will expect to do this before they take away their bargain. You will need room in your car to put all your stock and also a table to sell from. Most people use a wallpaper table as this will fit into your car for transportation. A money belt or a secure cash box is also a good idea but keep the cash in a safe place as car boot sales are prone to opportunist thieves. If you get the bug for buying and selling items to make a little cash then look out for jumble sales and garage sales. Jumble sales are usually held by local groups who want to raise money for their church or cause. Although you will not be able to sell your own items at Jumble sales you may be able to pick up a few items to resell on at a car boot sale. If you have items to get rid of in your home and are not keen on attending car boot sales then donate them to a jumble sale as you know that the money will be used for a good cause. Garage sales are run by one family who will put up a sign in front of their home and perhaps in the local newspaper. Visitors can then turn up at the allotted time and buy everything from toys to furniture. If you are planning to downsize and have quite a lot of furniture and larger items to clear then either take them to an auction house or organise your own garage sale. You may find that you enjoy selling items at car boot sales and jumble sales so much that you decide you could earn an income from it. By hiring a stall at a flea market you will be under cover plus attracting local buyers who are aware of the times and days that the flea market functions.